One of EFF's first major legal victories was Bernstein v. Department of Justice, a landmark case that resulted in establishing code as speech and changed United States export regulations on encryption software, paving the way for international e-commerce. We represented Daniel J. Bernstein, a Berkeley mathematics Ph.D. student, who wished to publish an encryption algorithm he developed, the source code for a program to run the algorithm, and a mathematical paper describing and explaining the algorithm. So, EFF assembled a crack legal team and, in February of 1995, sued the US government on behalf of Bernstein. Not only did these regulations chill the speech of individuals like Daniel Bernstein, they hampered American business by limiting the export of encryption technologies and methods. Then, as now, EFF saw clearly the importance of protecting speech online and the necessity of encryption to building a web with privacy and security protections. The court eventually ruled that the export control laws on encryption violated Bernstein's First Amendment rights by prohibiting his constitutionally protected speech, leading to regulatory changes that made it easier to publish encryption software online without the approval of the US government. Along the way, Judge Marilyn Hall Patel in the Northern District of California issued the crucial first ruling that found that code is speech and so is protected by the First Amendment. Today it may seem obvious that communication using programming languages is protected by the First Amendment. But before this decision, no judge had formalized that principle in a ruling. Bernstein helped pave the way for the growing use of encryption that makes web browsing and activities like banking and shopping more secure, and its recognition of code as speech helped build the legal foundation for online rights being recognized alongside offline ones. For EFFers, this case resonates beyond those important results: one of the lawyers on that crack legal team was Cindy Cohn, who became our longtime legal director and recently moved to the Executive Director position. 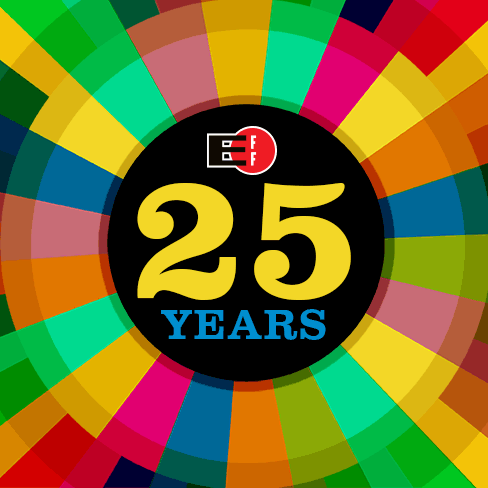 In honor of EFF's 25th anniversary, we're highlighting pivotal moments from the fight for digital civil liberties. EFF members have made it possible for EFF's attorneys and activists to champion digital rights in courts and beyond. Please donate to EFF to ensure we can continue to fight for the users.